A central message of the Buddha’s teachings is that the mind is purified of its afflictions through the integrated cultivation of meditative quiescence (śamatha ) and contemplative insight ( vipaśyanā ). During this retreat, we will focus on the four close applications of mindfulness, which form the foundation of Buddhist insight practice. These include mindfulness of the body, feelings, mental states, and mental objects. As we investigate the nature of these features of our existence, we will probe the very nature of human identity and the possibility of freedom. A central theme will be the cultivation of discerning mindfulness in which we will increasingly distinguish between phenomena presented to our senses and the conceptual projections that we impose on reality. This retreat will be of particular interest to those involved in the modern mindfulness movement in that it will explore the deep roots from which the teachings of secular mindfulness have been extracted. Dr. Alan Wallace is an internationally recognised Buddhist scholar and teacher who has studied and practiced Buddhism for over 45 years. He spent 14 years as a Tibetan Buddhist monk, ordained by H.H. the Dalai Lama and he has studied with many great teachers from the Geluk, Nyingma, Sakya, Kagyu, and Theravada schools. He has received extensive teaching on the Four Close Applications of Mindfulness in both the Theravada and Mahayana traditions. Alan is a world-renowned meditation teacher, specialising in śamatha and vipaśyanā (which include mindfulness) and Dzogchen teachings. He also brings deep insight and extensive knowledge of mindfulness as taught in secular movements and spiritual traditions other than Buddhism. In 2000, he collaborated with Dr. Paul Ekman to produce a secular 8-week training known as Cultivating Emotional Balance which includes a significant mindfulness component. The training has been run each year since in England, Scotland, Australia, Spain, Singapore, and Italy.Apart from his training in Buddhism, Alan has a degree in physics and philosophy of science, and a doctorate in religious studies. 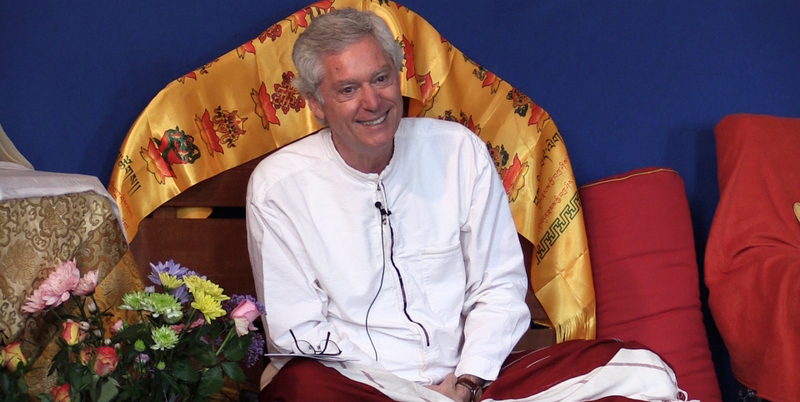 Drawing on this multi-faceted background, he brings many years of dedicated and profound practice and the wisdom of authentic experience to the challenge of integrating traditional Buddhist training with the needs of the modern world. The retreat starts at 7pm, after supper on the 24th August, and ends after breakfast on the 31st August. 2. Accommodation is booked separately. Payment is made directly to the university. You can pay the university directly by clicking here. Lampeter Campus welcomes people to stay additional nights before or after the retreat, please book directly with the accommodation office. Accommodation costs include full board with special dietary options. The rooms are simply furnished, light, airy and pleasant. CCN offers bursaries so that no-one is excluded from the retreat because of low income. If you would like to help others to participate please consider contributing to the Bursary fund, the details of which are in the registration form. To inquire about the bursary fund and other queries, please email Elizabeth at emwest1944@gmail.com.